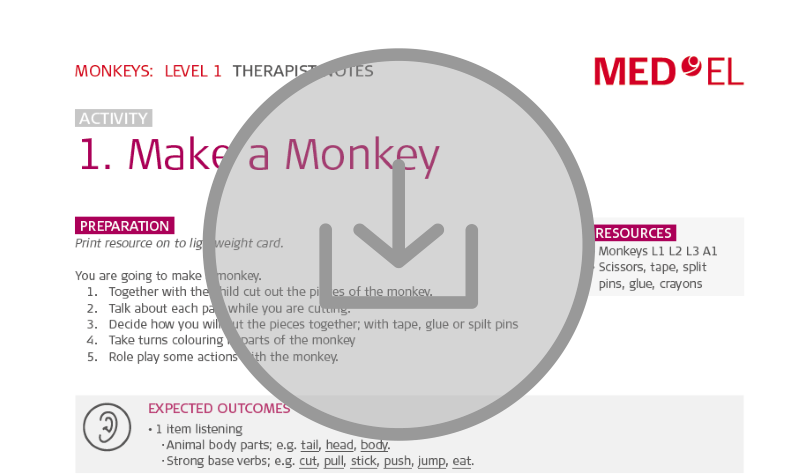 More fun than a barrel of monkeys—you’ll go bananas for this month’s rehabilitation lesson kit! This month’s free resource kit marks the one-year milestone of the launch of our Themed Lesson Kits. You can download all 12 lesson kits at the end of this article! In this free aural rehabilitation themed lesson kit, you’ll get detailed therapist notes and high-quality illustrations for each activity. There’s more than 80 pages of resources—download your free lesson kit now! New to our themed lesson kits? We create these aural rehabilitation lesson kits as a therapy resource for audiologists, speech & language therapists, rehabilitation specialists, and any other professional that works with children with hearing loss. This month’s aural rehabilitation lesson kit is themed “Monkeys”. 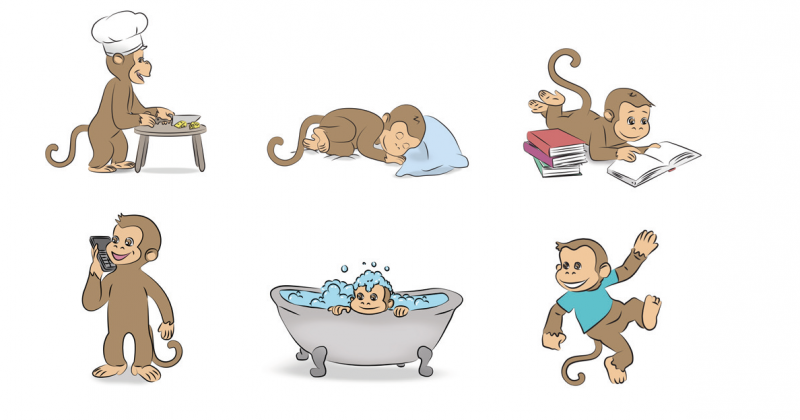 As you can imagine, you’ll be using monkey-related vocabulary to build communication skills through matching games, a hiding activity, a fun sing-along, and creating a storybook. This comprehensive lesson kit pdf is a designed to be printed and reused. Every lesson kit has three levels and includes lesson plans with four complete activities and therapist notes. There’s also step-by-step guidance and print resources for each activity. Each lesson plan highlights useful therapy strategies to help achieve the listening and language goals. Download Lesson Kit #12 now!